Yesterday, Catherine Ashton, EU High Representative for Foreign Affairs & Security Policy/Commission Vice-President and Štefan Füle, EU Commissioner for Enlargement & Neighbourhood Policy presented together the latest update on the European Union’s relations with its Neighbouring countries, the so-called “European Neighbourhood Policy Annual Package”. 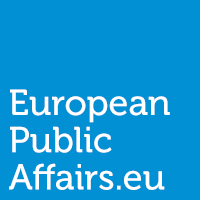 This package is composed of a Communication entitled, “Neighbourhood at the crossroads – taking stock of a year of challenges”, that shapes the general policy of the whole European Neighbourhood Policy (ENP), accompanied by Progress reports (both at regional and country specific levels). These assert the progress made by neighbouring countries towards the achievement of objectives stated in the Action Plans they previously drafted jointly with the European Union. The birth of the European Neighbourhood Policy as we know it dates back to the early 2000s, alongside the negotiations for the 2004 enlargement. The European Council of Copenhagen then made a political statement in its Presidency Conclusions, in which it called for better relations with countries such as Ukraine, Moldova, Belarus and the Southern Mediterranean countries, to which the Commission responded in 2003 by launching its own “Wider Europe” Communication. Nowadays, this geographical distinction remains and has been embodied in two different sub-structures: the “Eastern Partnership” (EaP) and the “Partnership for Democracy and Shared Prosperity with the Southern Mediterranean” (PfDSP). The fundamentals of the ENP initiative and its purpose have been summed up by the Wider Europe Communication as the following; “to prevent new dividing lines between the enlarged Union and its neighbours” by sharing, “the benefits of enlargement in strengthening stability, security and well-being”. In other words, with the ENP the European Union recognises that “over the coming decade and beyond, the Union’s capacity to provide security, stability and sustainable development to its citizens will no longer be distinguishable from its interest in close cooperation with the neighbours”. Looking to the success of the previous enlargement strategies it has performed so far, the EU has actually mechanically borrowed from these policies and replicated their principles with the exception that neighbouring countries targeted by the ENP are not to be offered a mid-term perspective for full EU membership. The fundamental flaw of this policy lies thus in its very own design, where ENP countries are promised ‘everything but institutions’. In the absence of the carrot that represents the membership, the danger is that those countries become more reluctant to comply with the norms or standards of the EU when they are not getting the full benefits in return. This potential lack of results might be even stronger when the context proves to be – as it has been in 2013 – particularly “challenging” due to several international crises and their consequences which includes instability as well as unfavourable socio-economic conditions. Any of these challenges can have negative impact and even reverse some past democratic reforms or achievements. In direct line with the 2013 edition, the 2014 version of the ENP Communication emphasised both the EU’s commitment to the aims of security, rule of law, prosperity and good neighbourliness, while acknowledging the need for an ever differentiated approach adapted to the path of each individual country toward the achievement of the jointly agreed objectives. Despite both the Eastern and Southern Partnership countries experiencing strong pressures trying to divert them from this path of reforms proposed by the European Union, the EU has still taken the time for praising its own actions, notably the role played by the High-Representative in Egypt that enabled her to “be vocal” about European values in critical moments. Another detail that might be more than noteworthy is the rather sharp criticism of Russia, under the cover of the usual diplomatic evasive language, for the trade war and other energy related pressures it has exerted against Eastern countries such as Azerbaijan, Moldova or Ukraine. Naturally, the situation in the latter has received its share of attention with the reaffirmation of the EU’s non-recognition of the recent annexation of Crimea by Russia. In the same vein, the EU is using the ENP Communication to blame the behaviour of « several regional or global players » that have impacted the ongoing conflict in Syria, the crisis in Egypt and ultimately resulted in a degradation of the regional stability in the Southern Mediterranean. Regarding individual components of the ENP strategy, the EU continues to apply the same formulas year after year, consisting of five main components. The efforts of the European Union are first gathered around political reforms and democratisation in order to reach a “Deep and Sustainable Democracy”. This encompasses the safeguarding of fundamental freedoms (e.g. freedom of speech & association, collective rights for trade union), an independent judiciary system, the strengthening of the rule of law, the fight against corruption, the reform of the police, and the elimination of torture, as well as the end of discriminations against women, LGBT, minorities and children. The second area of joint cooperation between the EU and the ENP countries is market integration, where not only is the Union pushing for Free Trade Agreements and granting Macro-Financial Assistance, but more importantly it is attempting to boost civil society consultations in order to stimulate a business-friendly climate. The third domain in which the ENP is active is mobility and populace interactions, with the negotiations of visa liberalisation agreements and the work toward better management of migration. A fourth element is sector cooperation taking place in areas such as transport (e.g. regulatory cooperation), energy (with the development of initiatives such as the Southern Gas Corridor), health (including actions around epidemiology and HIV/AIDS), rural development, knowledge and innovation (such as the participation of ENP countries to Horizon 2020), or Education, Youth and Culture (e.g. Erasmus Mundus). Finally, the fifth or last section of the ENP is centred on security and conflict resolution, notably in the Middle-East Peace Process. In comparison with the 2013 ENP Package, the tone, as well as the claims, of this year’s edition are less optimistic and more modest in their expectations concerning the potential changes the ENP will bring to partner countries. Maybe the failed hopes and expectations built on the Arab Spring have played a role in this matter, despite the EU remaining proud of its work in Tunisia, Egypt and Libya; a work presented as benefiting from the enhanced coherence as well as effectiveness brought by the new competences included in the Lisbon Treaty. Nevertheless, the Communication has the advantage of recognising the room for improvement. It remains humble in light of all the potential changes needed in order to increase its coherence, appropriateness, suitability and effectiveness in a fast-changing as well as challenging environment. However, even with all these improvements and refinement that might eventually be brought to the ENP, some scholars such as Stefan Lehne or Ingeborg Tömmel remain critical toward the concept of the European Neighbourhood Policy itself, and advocate for radical changes. Maybe next year the ENP Package, presented by a new High-Representative, will answer their objections and bring a shift in the way the EU conceptualises relations with its Neighbours.